Who will be racing? Some of the best, and certainly some of your favorites. Froome, Porte, Dombrowski, Sagan x2, Voigt, Schleck, VandeVelde, van Garderen, King x2, Talansky, Rogers, Sutherland, Duggan, Millar, Danielson, Zabriskie, Zirbel, Rodriguez. 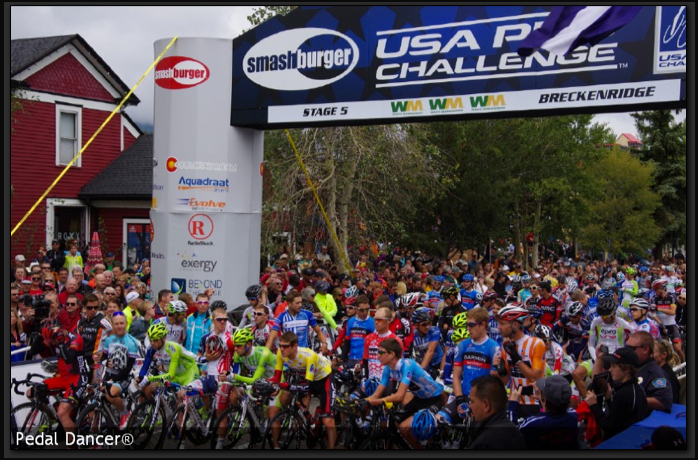 This is certainly the year to travel to see the pro race in Colorado! You will see the returning 2012 Champion Christian VandeVelde compete against the recent winner of the Tour de France - Chris Froome. This is Chris Froome's first time racing in Colorado with his team SKY and he brings with him his trusty side-kicks Richie Porte (The Tasmanian Devil) and Peter Kennaugh. Defending Best Young Rider Joe Dombrowski (one of the best climbers in the field) will join SKY in Colorado. All the jersey winners from last year are returning except for Tyler Farrar from team Garmin-Sharp, who won the green sprint jersey last year. 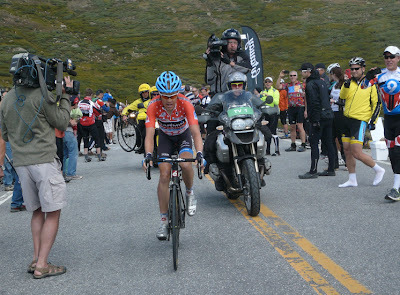 Instead we will have the good fortune of watching recent Tour de France green jersey winner, Peter Sagan, sprint for the line in Steamboat Springs and Denver, Colorado, and maybe a few other stages - if the breakaway is caught. Peter's older brother Juraj Sagan is also on the roster for Cannondale Pro Cycling. 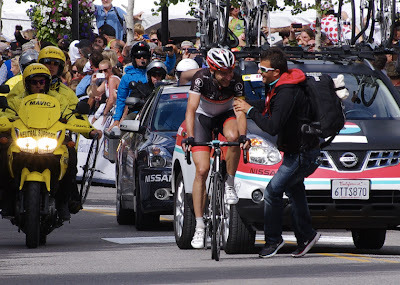 Jens Voigt is back in Colorado to thrill the fans, and guess who is leading the posse of RadioShack-Leopard-Trek riders - Andy Schleck. Andy is team leader for the USA Pro Challenge in 2013. Andreas Kloden (Germany) returns, he was here last year and came in 4th. They are joined by Ben King (USA), George Bennett (NZL), Hayden Roulston (NZL), Tony Gallopin (FRA), Tiago Machado (POR). 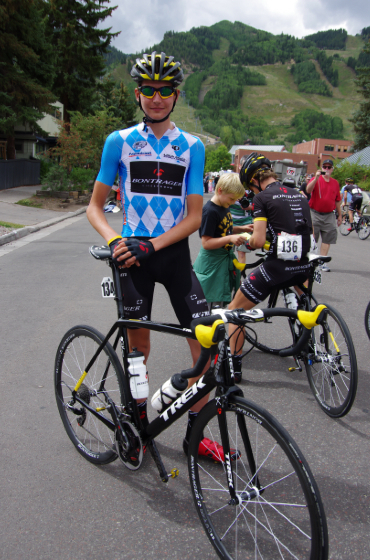 Australian Rory Sutherland (winner of the Flagstaff Stage in 2012) returns this year, but on his new Saxo-Tinkoff team. He will race for fellow Aussie and team leader Michael Rogers. Tejay van Garderen, Andrew Talansky, Tom Danielson, David Millar, Timmy Duggan, Lucas Euser - are all names you will recognize from last year. New to the race, wearing a shinny new American National Champion Road Jersey covered in red, white and blue jelly beans, is Freddie Rodriguez. His team Jelly Belly missed out on 2012, but are back for 2013. The incredible COLUMBIA team returns in 2013 to once again wow us all with their climbing skills. And the Bontrager Cycling Team returns with their young squad of very talented riders. Ted King (Cannondale) is coming! Let's give him a huge welcome back from his injury at the Tour de France. 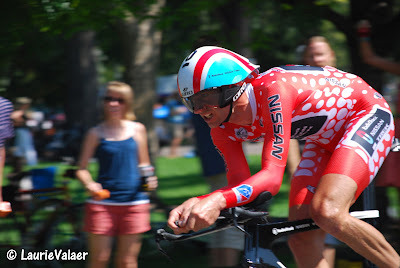 David Zabriskie is on the team Garmin-Sharp roster, I am super excited to see him back from his injury at the Tour of California. Greg Van Avermaet (BMC), from Belgium, just won Stage 1 of the Tour of Utah yesterday - he will be racing in Colorado as well. There are 16 teams; 8 riders per team. 128 riders representing 31 countries. 6 current National Champions Road - Fred Rodriguez (USA), Hayden Roulsten (NZL), Luis Enrique Lemus (MEX), Michael Olsson (SWE), Michael Schär (SUI) and Peter Sagan (SLO). 2 current National Champions Time Trial - Tom Zirbel (USA), and Kanstantsin Siutsou (Belarus). Who is missing? You will notice missing from the startlist are Tyler Farrar, Peter Stetina, Jakob Fuglsang, Matthew Busche, Ivan Basso, Taylor Phinney, Damiano Caruso, Vincenzo Nibali, Cadel Evans and others. Where George Hincapie retired last year, and Leiv Leipheimer did not sign with a team for 2013, these riders are occupied racing other races as assigned by their teams and will not be in Colorado. They miss out on great roads, fantastic hotels, and incredible fan support! Now would be the time to make those reservations to come to Colorado!